Doetzkies accepting his Oscar for Scientific and Technical Achievement in 2015. NEC Display Solutions of America has appointed Reiner Doetzkies as director, cinema business and technology. Doetzkies brings nearly two decades of cinema technology experience to the role. He will be responsible for supporting the global NEC Display Solutions company—including Japan, America, and Europe—in its Cinema business and technology development. His duties will include alliance/partner management, industry standards management, building relationships within the movie studio community, and supporting global sales and marketing. Doetzkies has held key technical and management roles in the cinema industry, helping it transition from analog film to digital cinema. He has worked closely with many professionals in the cinema industry, including content creators, post facilities, equipment manufacturers, OEMs, exhibitors, and standards committees. He comes directly from GDC Technology, where he served as vice president of technology development. In that role, he was responsible for technology development and managed third-party partnerships, technology providers, and studios. Prior to that, he served as director of technology for DLP Cinema at Texas Instruments, where he was responsible for technology and product design for the company’s digital cinema platform. In 2015, Doetzkies received a Scientific and Technical Achievement Award (Oscar) from the Academy of Motion Picture Arts and Sciences for the implementation of engineering in the development of Texas Instruments’ digital projection system. 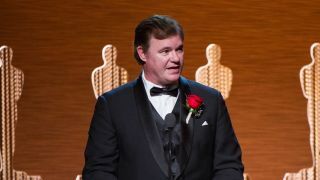 He also holds a patent for a system and method used to secure movie content in digital cinema on high-speed data links. Doetzkies holds a B.S. in electrical engineering from Lawrence Technological University in Southfield, MI.